Worried about water damage to your OneWheel? No problem! Get yourself the Badger Wheel waterproofing kit over at badgerwheel.com and seal up all of the weak parts of your board. Worried about bears? Who isn't? Bears are the number one causes of death in the OneWheel community! That's why we improved on the Badger Wheel to bring you, The Honey Badger Wheel! 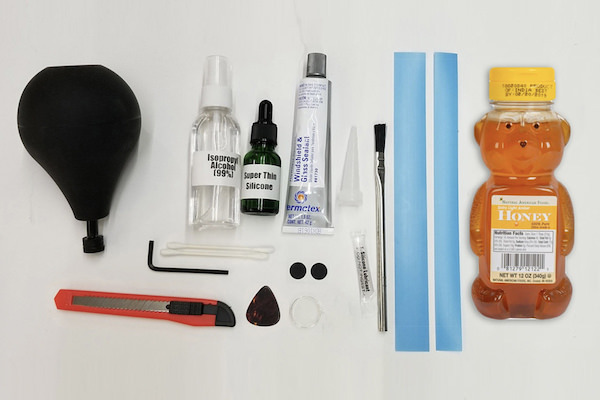 The first bear-proofing kit for the OneWheel! With the Honey Badger Wheel, you'll be able to do all of the same waterproofing as the Badger Wheel, but we also include a jar of honey for extra protection! Just squeeze the extra light amber honey in key spots like on the inside of your rail, under your footpads, and inside your charing port. 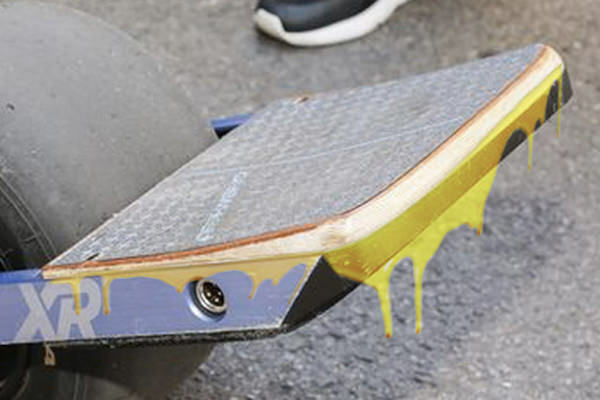 Bears hate honey and your board will act as a bear deterrent while you send it on trails! If you care about your board and you care about not getting mauled by bears, then you need to get the Honey Badger Wheel today!